Malayadwaja Pandya, the King of Madurai and his queen Kanchanamaala were depressed. They had everything : enormous wealth, a huge and prosperous kingdom, happy and loyal subjects who loved the king and queen like their own parents. Unfortunately Malayadwaja and Kanchanamaala didn’t have any children of their own. They were worried that the Pandya monarchy would come to an end after them and the kingdom would be left without a king. 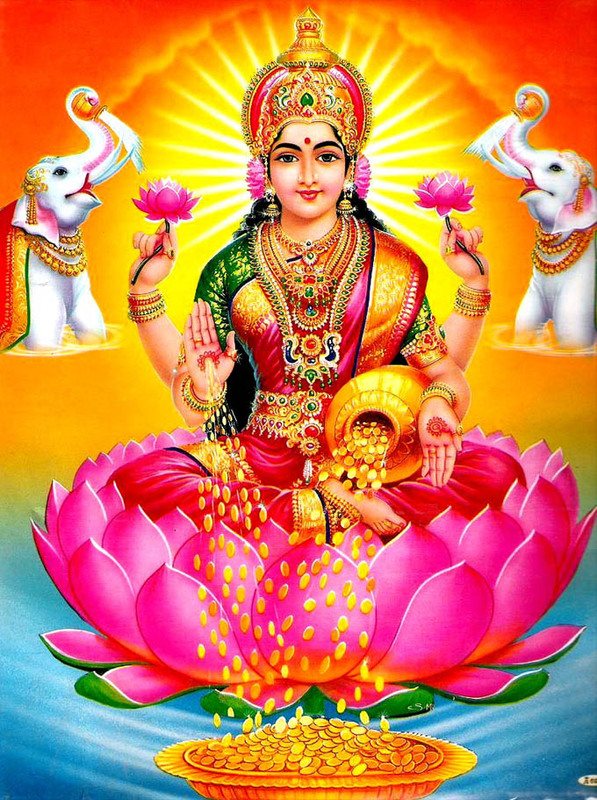 Lakshmi chanchala hoti hai (The goddess of wealth is very curious).Lakshmi ko kabhie band karke mat rakho, lakhshmi rooth jati hai (Money should always be in circulation). Lakshmi jayegi, phir ayegi, phir jayegi…darwaza khula rakho, usko jaane do. Aaj jayegi to kal ghum fir ke tumhare hi god mein aayegi. JALA DAANAM This form of charity involves giving water with betel nut and dakshina to a brahmin, and it is done for wealth. SHAYANA DAANAM Giving bed to a needy is done for general happiness. VASTHRA DAANAM Giving clothes to needy will ensure a long life to the giver. 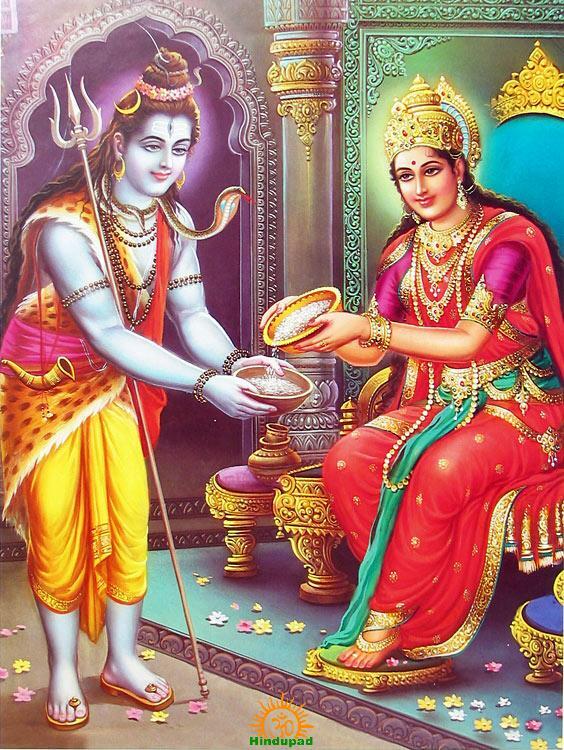 KUMKUM DAANAM When a woman donates kumkum, she ensures a long life for her husband. BUTTERMILK DAANAM Donating buttermilk will give you knowledge and enlightenment. PADARAKSHA Donating slippers to the need will keep the giver away from hell. It is believed, it was on Akshaya Tritiya day that the Goddess of food known as Annapoorna, a special avatar of Goddess Parvati, who feeds the hungry, was born. Seeing all the suffering, Mother Parvati was filled with compassion and reappeared in Kasi and set up a kitchen. 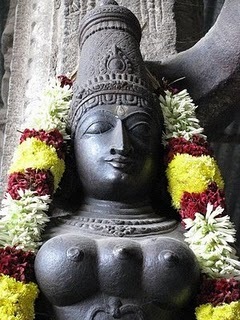 Hearing about her return, Shiva ran to her and presented his bowl in alms, saying, “Now I realise that the material world, like the spirit, cannot be dismissed as an illusion.” Parvati smiled and fed Shiva with her own hands. Don’t be distracted from pursuing your goals.